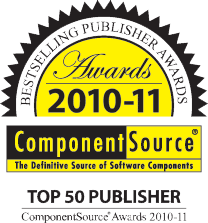 ORPALIS wins 2 ComponentSource 2010-2011 Awards for GdPicture SDK:Top 50 Publisher Award and Top 50 Product Award. ORPALIS ranked 30-th in Top 50 Best-selling Publisher 2010-2011, up from 71st place last year, in ComponentSource overall publisher list. GdPicture.NET SDK ranked 48-th in Top 50 Best-selling Products for 2010-2011. The allocation of the awards has been calculated based on real sales orders placed by ComponentSource customers globally during 2010. ComponentSource was established in 1995, to supply Software Developers with the best software development products the world had to offer. 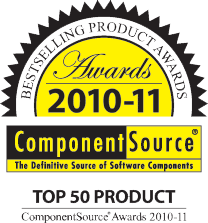 ComponentSource pioneered the open market for reusable software components and tools, through innovative use of electronic software delivery (ESD). ComponentSource is a now a leading global e-business and the marketplace of choice for technical decision makers finding, evaluating and procuring reusable software components. Founded in 2003, ORPALIS is creator, developer and owner of the comprehensive document imaging toolkit series released under the brand “GdPicture”, which is now a worldwide known and respected leader in imaging technologies. More than 12,000 developers, based in over 70 countries, include GdPicture components in their applications.